As the Civil War dragged on, deprivation replaced bounteous repasts and familiar faces were missing from the family dinner table. 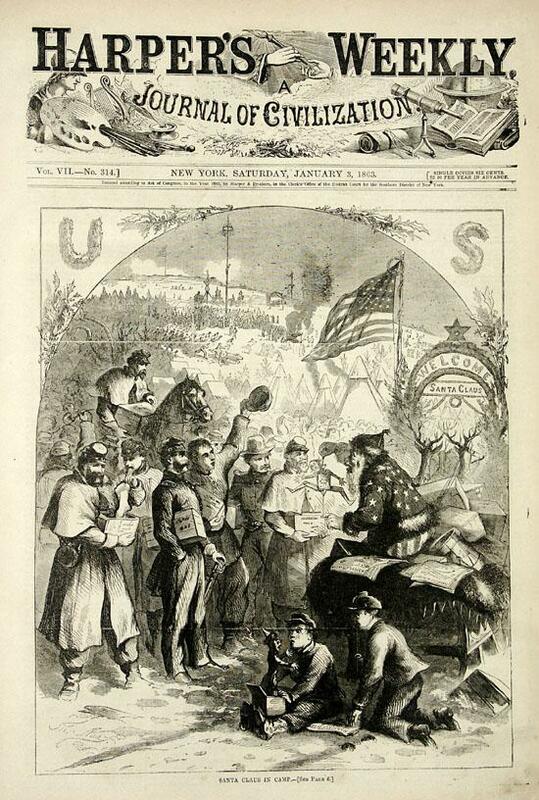 Soldiers used to “bringing in the tree” and caroling in church were instead scavenging for firewood and singing drinking songs around the campfire. And so the holiday celebration most associated with family and home was a contradiction. It was a joyful, sad, religious, boisterous, and subdued event. Robert Gould Shaw, then a 2nd lieutenant in the 2d Massachusetts Infantry, writes in 1861, about guard duty near Frederick, MD. He would later earn fame as the commander of the heroic African-American unit, the 54th Massachusetts. From the diary of Robert Watson of Key West, Florida. 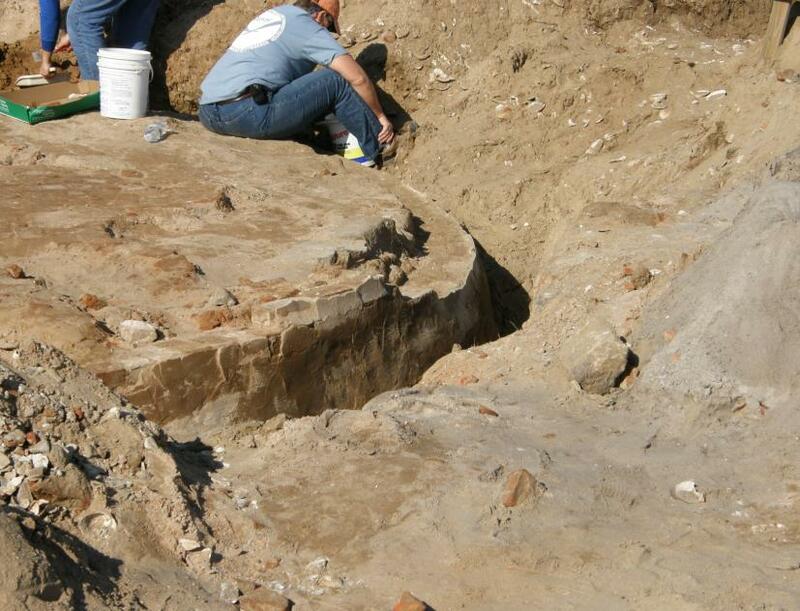 Federal Point Lighthouse Foundation Uncovered! 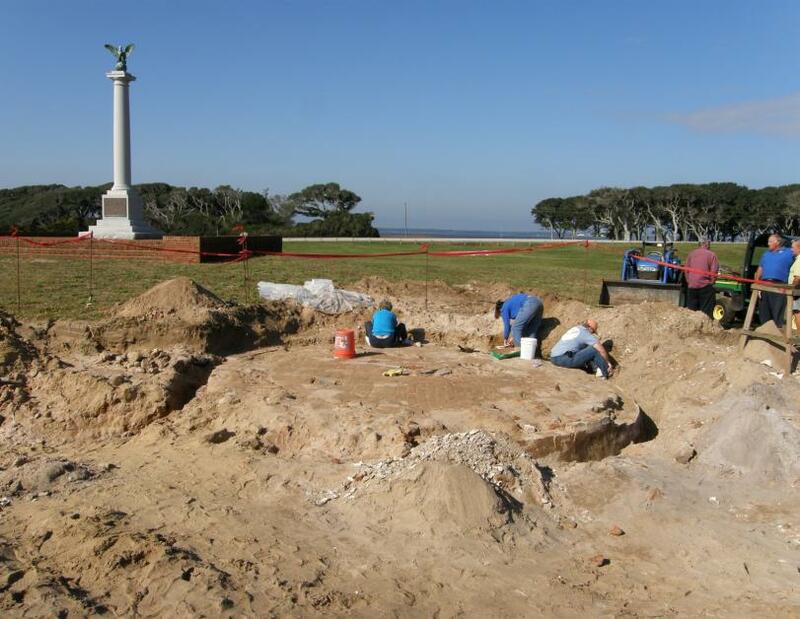 On Thursday, November 19, a crew from the North Carolina Office of State Archaeology and the staff of the Fort Fisher State Historic Site uncovered what is believed to be the foundation of the first (and second) Federal Point Lighthouse. Measurement of the walls and dimensions of the brick floor match known building plans for the original 1816 light almost exactly. Located east of the Confederate Monument and located directly in front of the location of the Keeper’s Quarters uncovered by Stanley South in the 1960’s, a number of small artifacts, including pieces of glass bottle, period dishes, and any number of Civil War period minnie balls and pieces of canon-balls, were found. Sadly for lighthouse fans, the site was covered over at the end of the second day to preserve the foundation from salt-water, rain, and drastic temperature changes. Jim Steele, Director of the Fort Fisher Historic Site, does hope to find a way to “interpret” the location of both the lighthouse and the keeper’s quarters in the future.